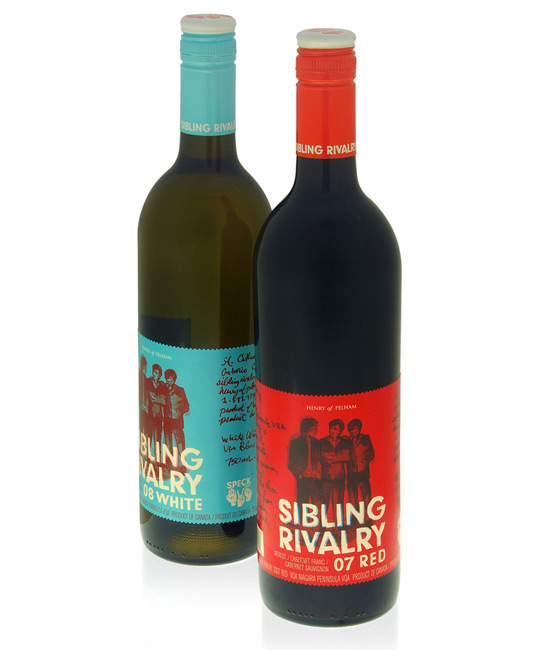 “Sibling Rivalry is a blend of the talent, passion and inspiration of the 3 Speck brothers behind the formidable wine talent of Henry of Pelham, one of Canada’s most successful and respected wineries. Ontario wineries are renowned for making exceptional however classical varietal focused wines. 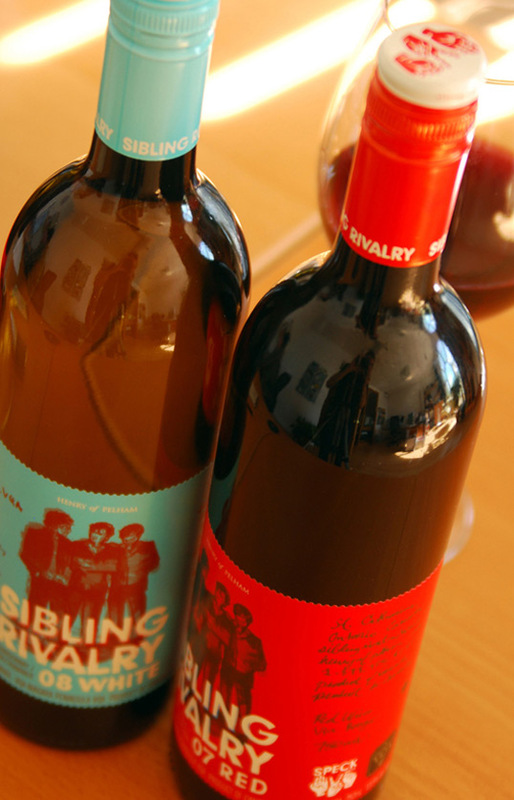 To step outside this constraint, and to showcase the beauty in blending wine from within an estate, the Speck brothers produced Sibling Rivalry. Insite was asked to create a brand and package to illustrate the spirit of the brothers colourful and light hearted partnership while communicating the highly charactered wine within the bottle. Insite took to the art board, producing most of the label by hand through piles of illustrations and text renderings. The Speck family have a strong relationship with the arts and a history of supporting and promoting artists so it was a natural for us to create a design palette that would rely heavily on craft techniques of illustration and print making.